Hey, guys, today is Halloween, one of the great guy holidays of the year. I mean, what other day can you get gobs of candy and not have one grownup tell you "No"? 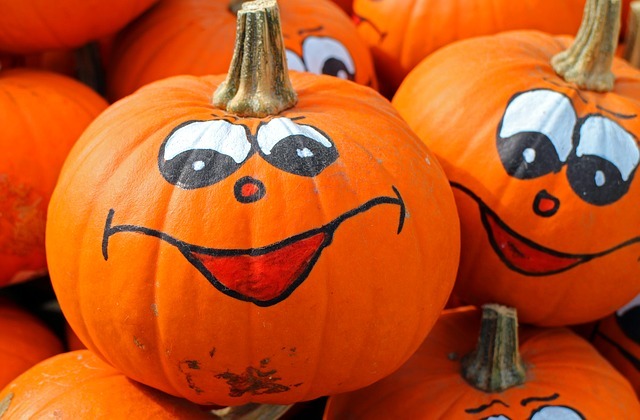 (although the smart grownups won't let you eat it all at once) Well, the Iron Guy thinks Halloween should be all about fun and I wrote a post about that last year. And I still believe it, so I'm going to tell you about a really fun book that's perfect for Halloween. It's Bunnicula by Deborah and James Howe. This book has been around for a long time (it was published in 1979) but there's a good reason why it's still around--it's a very fun read! This is the story of a vampire bunny. Written by a dog. That's right! A vampire bunny and a dog that types. Told you this would be good. But I'm getting ahead of myself. The Monroe family comes home one night (a dark and stormy night) from seeing a Dracula movie. At the theatre, the youngest boy found a little rabbit on a seat and they all brought it home. Both Harold, the family dog and Chester, the cat, are curious about the newcomer but Chester notices strange things about the bunny. It has markings that look like a cape. And it has something no bunny should have--fangs! Over the next few days, they see that the the bunny sleeps all day, stays awake all night and seems to get out of its cage without unlocking it. Then--beginning with the tomato, the thing with red juice--all the vegetables in the refrigerator turn white as if something had drained all the juice out of them! Oh, no! Could this cute little bunny really be a vampire?? Oh, boy, you will truly get a kick out of this book! It's funny, it's absorbing and it's a good quick read. It's funny because it's told from Harold's goofball dog perspective. It's absorbing because you really want to find out what's going to happen with Chester trying to convince his people there's a vampire rabbit in the house. And it's only 98 pages long, so it's the perfect read for any of you who are avid readers or what the grownups call a reluctant reader. Check it out--it's a perfect and fun read for the Halloween season or any time of year. And if you've read it, write in and tell us how you liked it. PS--there is a whole series of Bunnicula books now, so dive right in and read them all! PPS--in the Monroe family, the dad is a college professor and the mom is a lawyer. No wonder they have a dog smart enough to write and a cat who can read. PPS--in the spirit of fun, tell me what your favorite Halloween candy is, even if you read this review a few days later. 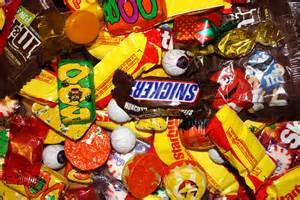 After all, any smart kid makes Halloween candy last until Thanksgiving! Always enjoyed Bunnicula. It makes a great read-aloud too. I'm unfortunately not partial to anything in the Halloween bowl. If it has a wrapper on it, I'll eat it! I remember reading this tale ages ago - and since then have avoided all rabbits found in movie theaters. What a spooky read for Halloween! Gave me shivers. I love Bunnicula. Our daughter read it aloud to all of us on a car trip many, many years ago and I think of it often. Such a fun read. Thanks for the post. I have got to read these books; I keep hearing about them, and they sound so funny! My favourite Halloween candy is one of the rarest: Peanut Butter Cups!